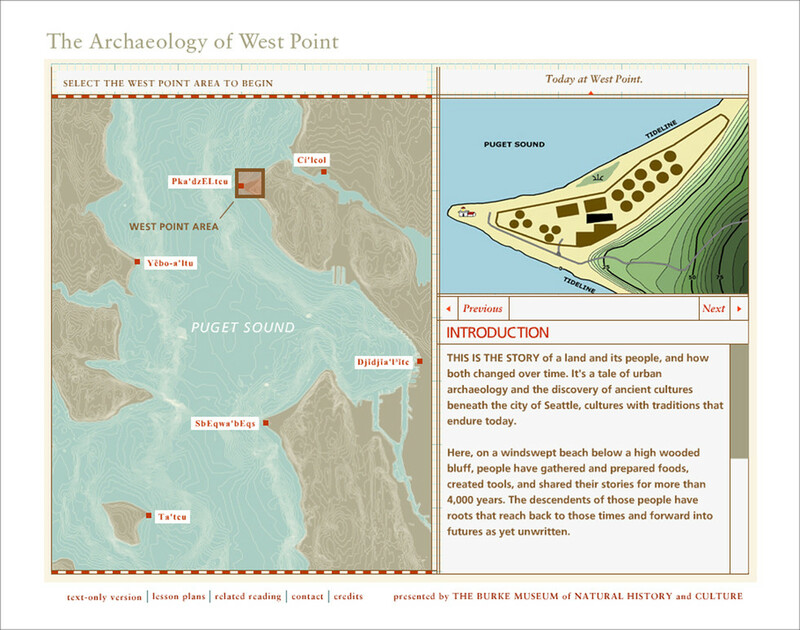 “The Archaeology of West Point” is an online exhibit that tells the story of a remarkable archaeological find in Seattle and the people who lived here 4,000 years ago. 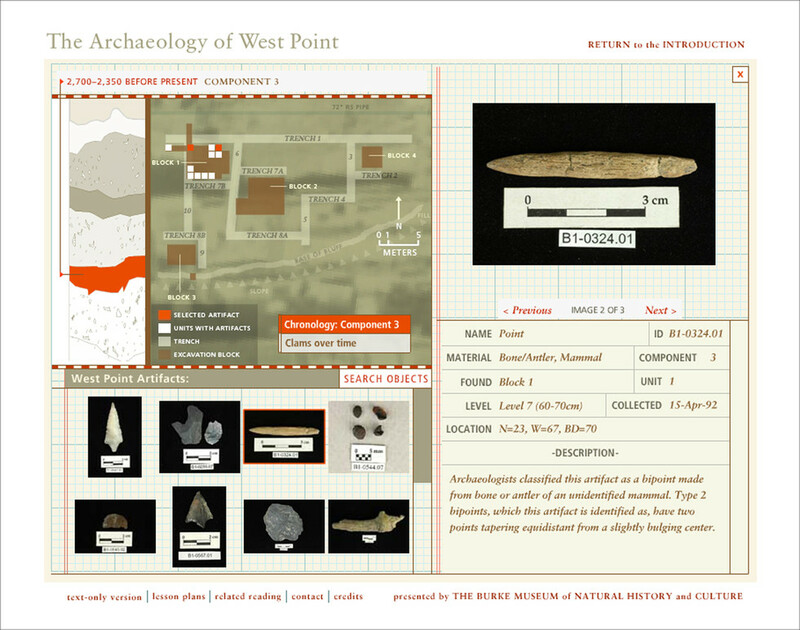 The goal of this piece was to present the approach that an archaeologist takes to learn about the past, while presenting a database of dig artifacts. 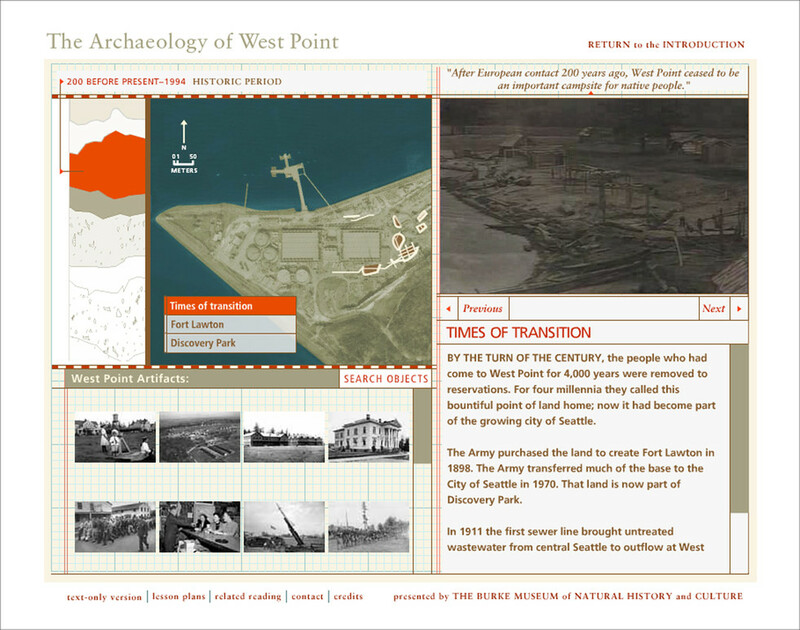 The interface combines audio, video, photos and text to create an immersive experience for both the casual visitor or the researcher. 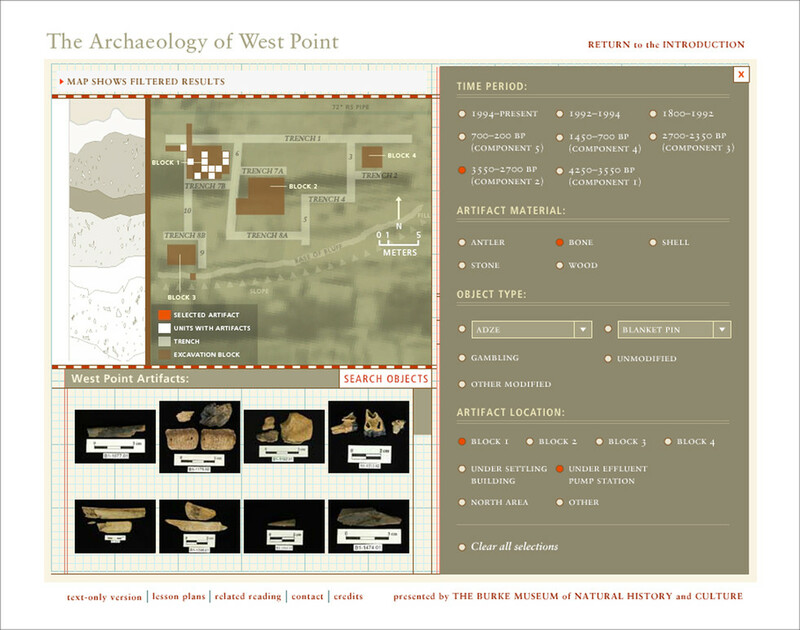 This project was created in partnership with the Burke Museum and the Tribal Oversight Committee.